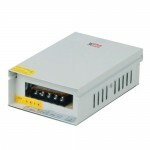 CP Plus CP-DPS-MD200-12D SMPS is Metal Case 20 Amp Power Supply. This SMPS from CP Plus is sure to offer an exceptional performance. Its cutting-edge technology with short circuit protection, overload protection and over-temperature protection. 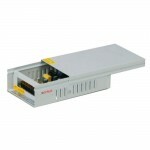 Perfect for your CCTV installation for any 12 volt cameras. CP Plus CP-DPS-MD100-12D 12 volts 10 ampere Power SupplyCP Plus CP-DPS-MD100-12D SMPS is Metal Case ..
CP Plus CP-DPS-MD50-12D Power SupplyCP Plus CP-DPS-MD50-12D SMPS is Metal Case 12 volt 5 Ampere Powe..